MultiChoice has announced that its DStv Mobile service will end on 31 October 2018. DStv Mobile TV launched in 2010 and used DVB-H technology, allowing users to access DStv on their phone, laptop, or tablet via a Drifta mobile decoder. The decoder received a DVB-H signal and converted it into a Wi-Fi signal for smart devices to access. The service was N1,260 per month. DStv Premium customers received one Mobile subscription for free, with additional subscriptions charged at N1,260 per month each. “Over the last few years, technology has evolved as broadband access continues to grow. It’s not feasible to continue to maintain a separate land-based, dedicated network for this service alone, when an even better service can be offered to our customers on DStv Now via the Internet and Wi-Fi,” said MultiChoice. MultiChoice told customers who currently have a Mobile subscription that it has already started to switch off certain transmitters. This will impact reception for certain users. As a result, users will not be charged their subscription fee from 1 September 2018. Decoder insurance on Mobile devices will also be cancelled. 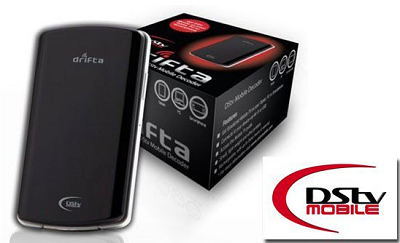 With DStv Now, you no longer need Drifta mobile decoder. I was excited when this service was launched back then but along the way the excitement just died. Sorry which one is dat n how does it works?